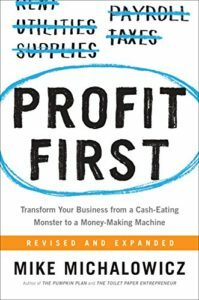 Profit First is a book a friend told me about a few months back. Mike Michalowicz has a very interesting take on Business Transformation. In it, he details what it means to take your business from “Expenses – Revenue = Profit” to “Profit First”. In the first few chapters, Mike explains the current thought process around the standard accounting business model. He goes on to talk about how accountants see the world and your money. What I like about it is that he challenges it with an approach around human behavior. Naturally I thought he would go deep into his explanation and sure enough, he did. Why Your Business Is Like a Tube of Toothpaste. At this point, I think to myself “oh this should be interesting”. What is “Parkinson’s Law”? It is the thought that “the demand for something expands to match its supply”. I won’t get into everything but he does a very good job of explaining the tie between this and normal behaviors around money. I found this to be an interesting principle. We place additional significance on whatever we encounter first. This is where it gets kind of deep. Mike gives some examples by doing a play on words. After your mind has started to tangle, he helps you untangle it. Very well explained and thought through. Now we are in to changing your behavior and thought process. What I like about this part is not only does he give you instructions, he gives you practical advice you can implement right away. There is actually a call to action in this section as well. I like where this is going! One of the fantastic things I like about this book is there are ACTUAL INSTRUCTIONS! 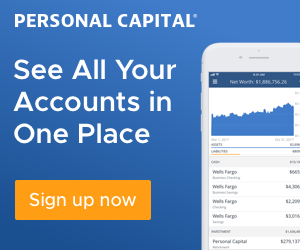 Not only does the author write about how it should look, but he also explains WHAT to do, HOW to organize bank accounts with a naming convention, WHERE to put them, and how to move the money around. It’s very exciting to see this because it makes note taking so much more worth it. Mike goes into plenty of detail when it comes to eliminating unnecessary expenses in your business. When starting out he speaks on how he got an office with all the trimmings and other random expenses. He just wanted to feel like he had a legit business. Many of us feel that way when we start our own but we need to take our feelings out of the equation. By doing that and getting rid of the unnecessary expenses, he was able to watch his business thrive. This book is a way to get your mind right when it comes to organizing your business. One of the first questions I had when starting mine was “How do I pay myself?” and “How much should I pay myself?”. These are important questions! Heck, this is the reason why we got into the business in the first place. No point in working for nothing. With that in mind, he suggests we run our business with an “I get paid before everyone else” thought. Pay yourself first and everything else will need to adjust around that. In the book, he answers the earlier questions with examples, and a downloadable matrix you can fill in to help you figure it out. It is amazing to have someone assist in this. There are plenty of testimonials listed in the book where people have used the matrix and formulas to change their business with success. I started to do it with my business. I get it and I’m working to see this take shape. I can see it on paper but it’s different when it’s happening. Profit First by Mike Michalowicz is a fantastic book to help organize your business finances. I think this book should be required reading for anyone looking to start or looking to scale an existing business. It ties directly to the high-level mentions of running a business in Rich Dad’s Cashflow Quadrant Book. You really can’t go wrong with this book and the Profit First idea explained. Thank you to my friend Ryan Regalado for recommending this book to me.